Our friends at Artisan Wine Depot invited us to a special food and champagne pairing on September 19. The champagne was from Piper-Heidsieck with their local expert and evangelist Kyle Kaplan. Food pairings were from the legendary Larry Chu who also put in several appearances. 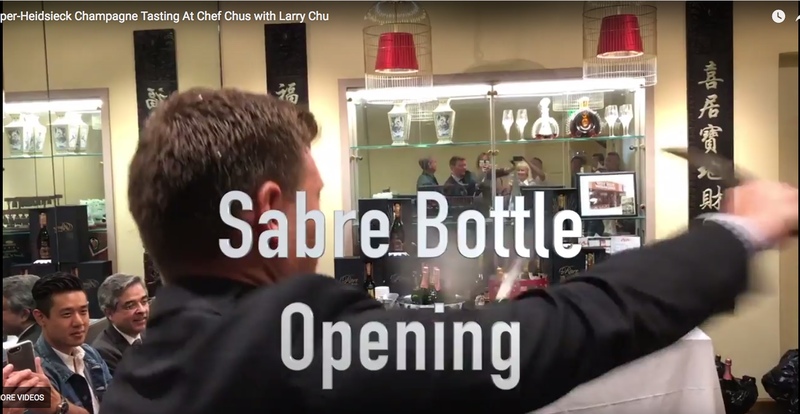 Chef Chu’s has been a fixture in Los Altos (CA) for 48 years. It was the first restaurant I visited that fused California cuisine with traditional Chinese recipes. If you’re ever in the neighborhood, this landmark is worth a special trip. We put together a video montage of this event. There were nine champagnes on the menu. 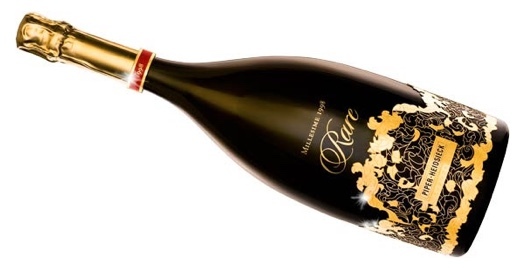 Five were vintages, including four with the coveted “Cuvee Rare” designation. Those included the 2007 Brut Rose, the 1988 Brut, the 1998 Brut (magnums only), and the 2002 Brut. A fifth vintage, the 2008 Brut was actually our favorite. We bought half a case. Cuvee Rare is a special designation for vintages that are exceptional. There is a special label, affixed by hand, for these vintages. Kyle got to (literally) show off his chops by demonstrating how to open a champagne bottle with a sabre. The image below doesn’t do the event justice. Watch the video above to get the full impact.